I’m always on the lookout for Christmas tree ornaments to adorn one of the several theme trees that I decorate each year. I’m a fool for Christmas. In years past, I put up trees in every room in my house including the bathrooms. Some of the rooms had multiple trees. Not all the trees were big, some were tabletop size. Every where you cast your eyes inside my house, you’d see Christmas. All those decorations were wonderful and I loved our house being so festive. Then it came time to take all the decorations down, box them up and store them until the next year. I didn’t like the decorations so much then. Taking them down was a bigger chore than putting them up. And it wasn’t nearly as fun, either. I’ve become a tad more reasonable about Christmas decorations. The bedrooms and bathrooms no longer get decorated. I still put up several themes trees and have bits of Christmas scattered throughout the house, inside and out. It’s still a lot of work, but I think the results are worth the effort. Sam is good about helping me. We now can enjoy our Christmas decked house without all the grumbling that goes along with the work load of going hog-wild with decorations. Well….there’s still some grumbling, but it’s at a manageable level. 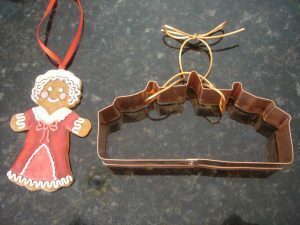 On a trip this past summer to Mount Vernon, George and Martha Washington’s home, I found some charming cookie cutter and gingerbread type ornaments that were perfect for a tree I decorate for the kitchen with vintage cookie cutters and cookie type ornaments. I picked up a couple, or maybe it was 5. Here’s two of my favorites. Left is a gingerbread Grandmother and right is a Mount Vernon cookie cutter. When I brought out the new ornaments to put on this year’s cookie cutter tree, I made a delightful discovery. 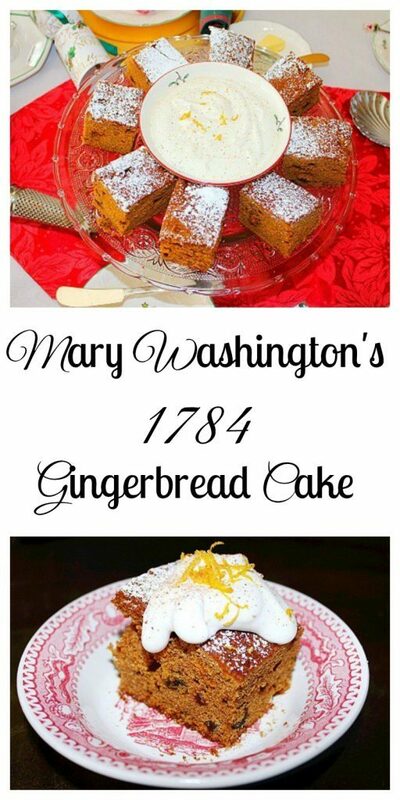 Included with the ornaments was a recipe for Mary Ball Washington’s (George Washington’s mother) Gingerbread Cake from 1784. 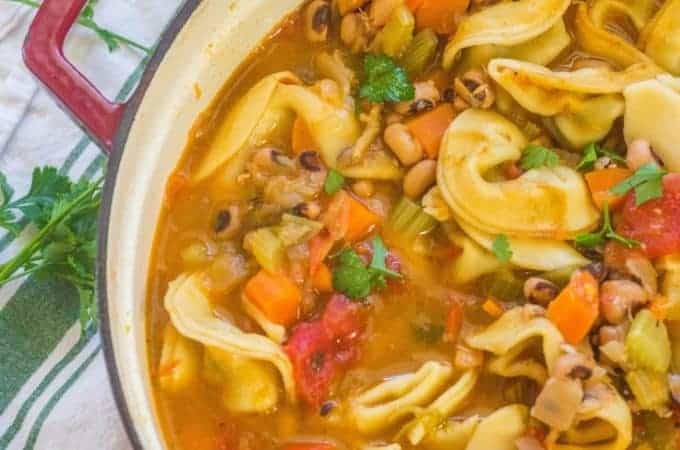 As much as I love Christmas, I love heritage recipes just as much. I recall being at Colonial Williamsburg and seeing a gingerbread cake that the character actor had cooked in a Dutch oven over an open fire. She said she had made the gingerbread cake for their lunch. 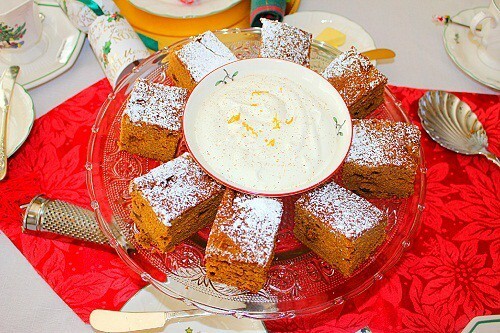 I thought at the time how much I would love to have a heritage gingerbread cake recipe. Well, bust my buttons! Not only did I get some new ornaments for one of my favorite trees, I got a great heritage recipe from Mrs. Washington for the gingerbread cake for which I had wished. What a blessing! This cake isn’t a lazy day, throw together fast, only use one bowl kind of cake. Don’t try to make it when you’re already slap worn out. There’s nothing difficult about it but it has several steps and Mrs. Washington apparently liked to dirty up every single bowl she had in her kitchen. Start with a sink full of soapy water and wash the bowls as you use them. Better yet, recruit spouses and children to help out. If they’re going to eat Mrs. Washington’s cake, they can help you wash up all the bowls Mrs. Washington wants you to use. President Washington would want it that way. Adapted from Mount Vernon’s Gingerbread – 1784. From Mary Ball Washington, mother of George Washington. A note on the recipe says that Mrs. Mary Washington served this cake at her home in Fredericksburg, VA and Mrs. Martha Washington also served this cake at Mount Vernon. This must have been one of President Washington’s favorites. I’m going to think that, anyway. I made a few changes to the original recipe. I substituted cold buttermilk for warm sweet milk. I omitted mace because it’s expensive and that’s not a spice that I ever use. 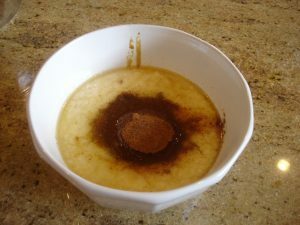 Instead, I added 1/2 teaspoon of ground cloves and increased cinnamon to 2 teaspoons from 1 1/2 teaspoons. The original recipe called for “best brandy or sherry”. I used brandy. 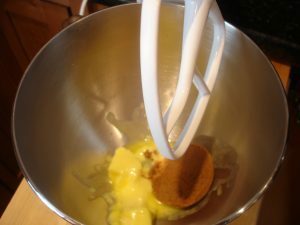 Measure out molasses, buttermilk,, ginger, cinnamon, nutmeg and brandy in a BOWL. Add to creamed sugar and butter. Mix well. 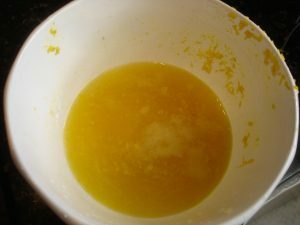 Whisk (or beat) eggs till fluffy in a separate BOWL. Sift flour and cream of tartar in another BOWL. 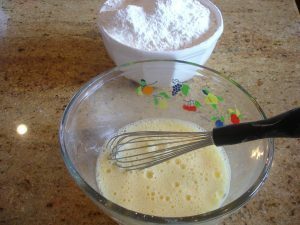 Add eggs and flour, alternately, to the batter. Keep mixer on low until all the eggs and flour is added. Zest and juice an orange in another BOWL. Don’t skimp on the orange. 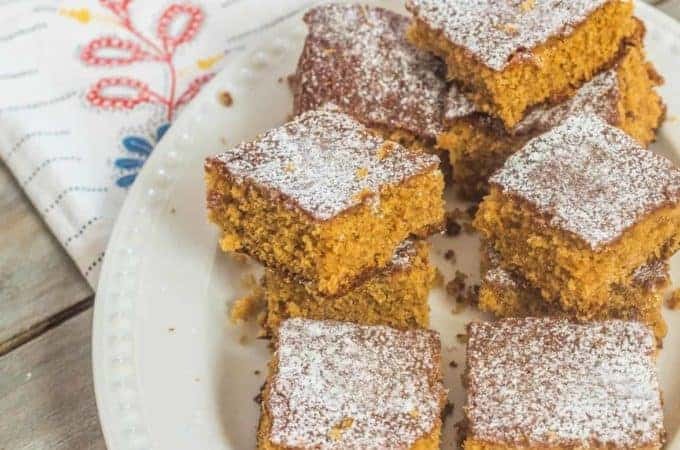 You need every bit of the zest and juice to cuts the richness of molasses. I was fortunate to be able to go out in my backyard and pick a big ol’ fresh navel orange. Add juice and zest. Lightly mix. From here on out, all the mixing is done by hand. Dissolve baking soda in warm water in another small BOWL or cup. Add to batter and mix by hand. 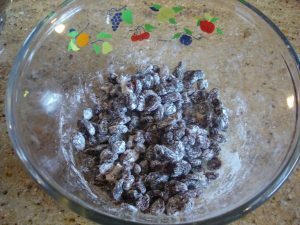 Mix raisins with a small amount of flour in another BOWL. This will keep the raisins from sinking to the bottom of the batter (hopefully). Add flour coated raisins to batter and stir in by hand. Pour into a greased 9×13 pan. Bake at 350 degrees for 40 to 45 minutes or until an inserted toothpick comes out clean. Let cool in pan for 10 to 15 minutes. Turn out on a cooling rack. Cool completely before cutting. Mrs. Washington recommended greasing the pan but didn’t say to flour it. I was able to get the gingerbread cake out of the pan without it sticking but I really had to work at it with a rubber spatula. Next time, I will lightly dust the pan with flour. This cake is better than I ever imagined it would be. It’s worth every BOWL that was used. We don’t typically put raisins, orange zest and orange juice in gingerbread cake today. I’m not sure why that fell out of favor because this has the best flavor of any gingerbread cake I’ve ever had. The raisins and orange give it such a nice fruity flavor that it would be a welcomed alternative to fruitcake. Despite mixing them with flour, more of the raisins sunk to the bottom than I would have liked. Sometimes mixing flour with add-ins works better than other times. If I had a dollop of fresh whipped cream, it’d be sitting right on top of a big square of Mrs. Washington’s Gingerbread Cake. I’ll have to settle for a light sifting of powdered sugar for now. Whip cream until soft peaks form. Mix in powdered sugar (according to your taste) , orange zest and vanilla extract. Grate a small amount of nutmeg on each serving. Adapted from Mount Vernon's Gingerbread - 1784. From Mary Ball Washington, mother of George Washington. 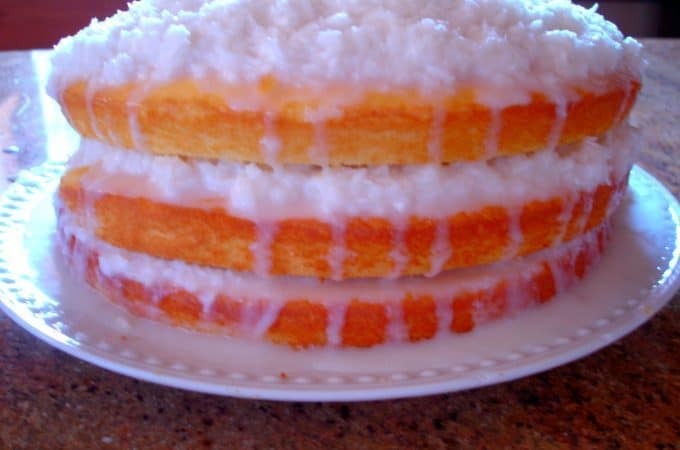 A note on the recipe says that Mrs. Mary Washington served this cake at her home in Fredericksburg, VA and Mrs. Martha Washington also served this cake at Mount Vernon. This must have been one of President Washington's favorites. I'm going to think that, anyway. I made a few changes to the original recipe. I substituted cold buttermilk for warm sweet milk. I omitted mace because it's expensive and that's not a spice that I ever use. Instead, I added 1/2 teaspoon of ground cloves and increased cinnamon to 2 teaspoons from 1 1/2 teaspoons. The original recipe called for "best brandy or sherry". I used brandy. Add eggs and flour, alternately, to the batter. Keep mixer on low until all the eggs and flour is added. Zest and juice an orange in another BOWL. Don't skimp on the orange. You need every bit of the zest and juice to cuts the richness of molasses. I was fortunate to be able to go out in my backyard and pick a big ol' fresh navel orange. Add juice and zest. Lightly mix. Add flour coated raisins to batter and stir in by hand. Pour into a greased 9x13 pan. Bake at 350 degrees for 40 to 45 minutes or until an inserted toothpick comes out clean. Let cool in pan for 10 to 15 minutes. Turn out on a cooling rack. Cool completely before cutting. Mrs. Washington recommended greasing the pan but didn't say to flour it. I was able to get the gingerbread cake out of the pan without it sticking but I really had to work at it with a rubber spatula. Next time, I will lightly dust the pan with flour. This cake is better than I ever imagined it would be. It's worth every BOWL that was used. 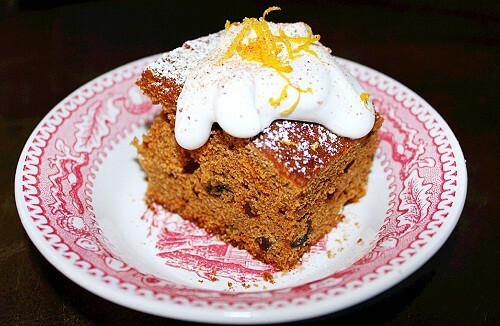 We don't typically put raisins, orange zest and orange juice in gingerbread cake today. I'm not sure why that fell out of favor because this has the best flavor of any gingerbread cake I've ever had. The raisins and orange give it such a nice fruity flavor that it would be a welcomed alternative to fruitcake. Despite mixing them with flour, more of the raisins sunk to the bottom than I would have liked. Sometimes mixing flour with add-ins works better than other times. If I had a dollop of fresh whipped cream, it'd be sitting right on top of a big square of Mrs. Washington's Gingerbread Cake. I'll have to settle for a light sifting of powdered sugar for now. Previous Post: « And We Have a Winner (or Two)! I love any time of heavy dark fruit cake. Guess Martha knew her stuff huh? She probably had servants to make the cake and clean up. I have a recipe (if I can find it) of a fruit cake cooked in layers with a fruit cake filling. I will see if I can find it and send it to you. Orange and gingerbread sounds good to me! If you don’t keep mace around, nutmeg is a good substitute. Mace is just the outer covering of the nutmeg “nut”, so the flavors are pretty similar. Mace is stronger, though. Nothing like baking up a part of history is there!! Especially 230 year old history! Looks like a winner though lot of work, so thanks for your efforts Jackie!! This recipe will now be one of our Christmas traditions. Merry Christmas! As a child, I grew up in Fredericksburg and tours of the downtown historic district were on schedule for field trips every year. I LOVED the gingerbread that was given to you when you toured Mary Washington’s home. 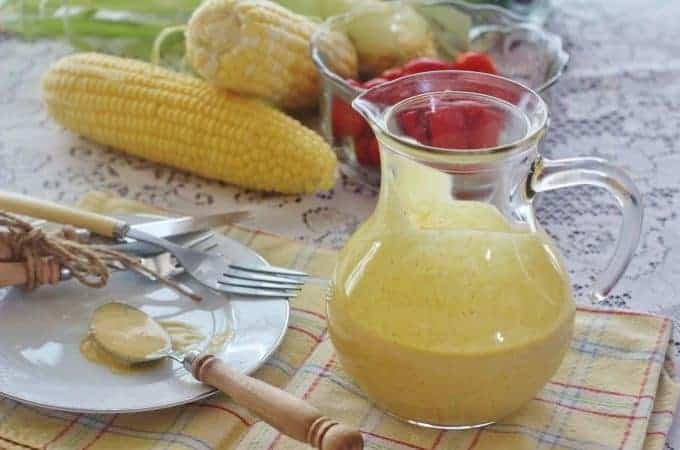 It was always topped with lemon sauce. Yum……As an adult, I’ve often wondered about that recipe and never knew what it was. My memories of those days were a little vague but when I saw this posting tonight I knew that I’d found it. Thank you so very much!! You’ve made the little girl inside me very happy and I can’t wait to share this with my children right away. Happy Holidays! Jackie, it probably won’t surpreise you to hear that I love, Love LOVE this!!! Truly and for real! 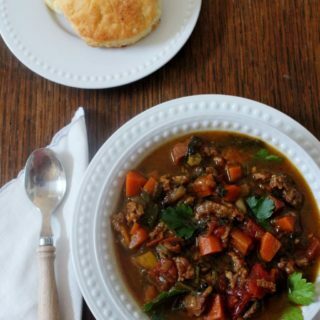 “As much as I love Christmas, I love heritage recipes just as much.” Amen! Just one of the many things we have in common! Health issues prevent my spending much time in the kitchen this year, but if I do bake a cake, I promise you it will be this one! My very dear friend and “personal assistant” will be with me a couple of days next week, so perhaps I can enlist her help! God bless you, Jackie, and Merry Christmas to you and yours! It saddens me to know that you’re not able to cook and “do around in the kitchen” as much as you would like. I know how much food and kitchen memories mean to you. I wish I lived closer to you so I could help you in any way that you needed help in order to get back in the kitchen. Michele, this cake is so good. It’s even better than I imagined it would be. I hope you can bake it with your friend’s help next week. Jackie, What a wonderful recipe and story. I love ginger every which way (even have a Pinterest board devoted to it) so this is right up my alley. Thanks for stopping by our Happy Holidays Link Party – be sure to join us again this week, beginning on Saturday at 7 pm ET. 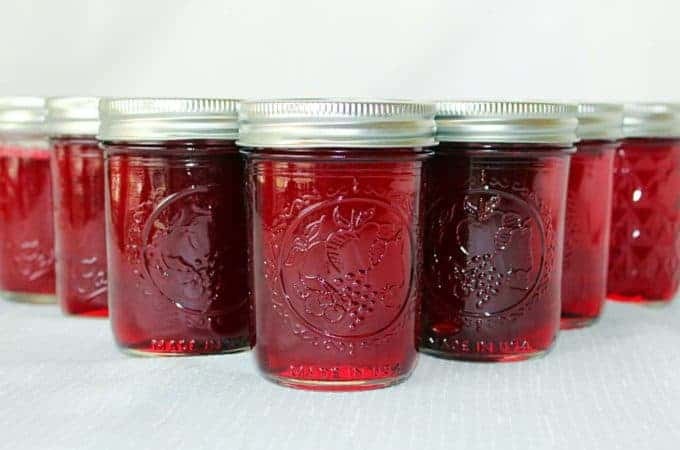 My elderly mother and my sister live in Fredericksburg, Va. I’ve seen this recipe before somewhere and it is delicious. Thanks for recreating it! Shared to my page. You know there are recipes on the Mount Vernon website, also? It has a recipe for Lafayette Gingerbread. It appears to be a traditional gingerbread. I’m looking forward to trying both recipes. I have been on this website but forgot about it. Thanks for the nudge. Recipe is made often around Fredericksburg, VA. George Washington was born, educated, lived as child near there. Mary Washington University is also there. 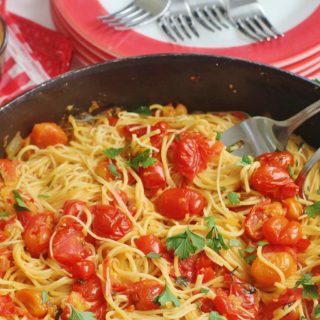 This recipe looks really time-consuming, but I want to make it, and modify it a bit for my family. The times I have eaten it in Fredericksburg or Williamsburg I found it a bit too spicy, and know I need to adapt it for little grandchildren to try it. They all love stories of G.W. 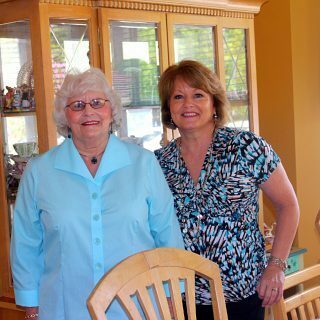 and actually walking around the areas in which he lived, and of course visiting Aunt Susie and old friends there. I hope you enjoy the cake with your family this Christmas. Blessings to you all. Since I use mace in an often-baked pound cake, I always have it on hand. Could you give us the original spice measurements? 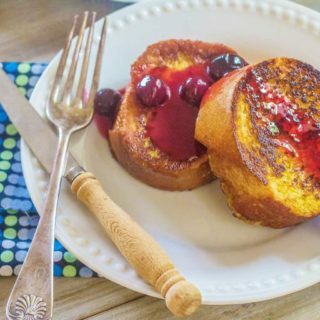 I love your site and have enjoyed many, many of your recipes. Thanks. Wishing you and your family a very Merry Christmas and happiness in the new year. I substituted an equal amount of nutmeg for the original amount of mace. Could I ask how much mace was called for in the original recipe as I do have it and would like to try it both ways. I substituted an equal amount of nutmeg. I like your idea of using alternate spices…don’t particularly like Mace. Will have to try your recipe…including the use of the “mixer”. Not too sure they had that appliance back then, tho. While I loves staying authentic with recipe ingredients, I’m not the least bit ashamed to use modern appliances. My KitchenAide stand mixer is one of my favorites. I waited a long time to get it and have certainly gotten my money’s worth out of it. Using ingredients that I had on hand is one thing I do regularly. If I can find a substitute that will not alter the taste or texture substantially and keeps me from buying something that sits in my cabinet until it expires and then gets tossed out, I’m happy to do it. Absolutely! I will sign you up. You can expect to get a confirmation email shortly. We don’t drink and never have alcohol in the house. Anything I can substitute for the Brandy? 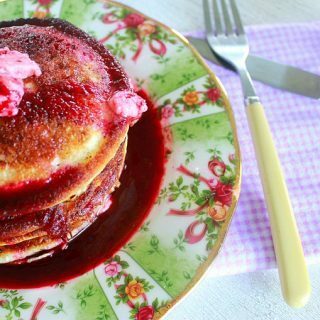 You can substitute one or two tablespoons of vanilla extract. Hello Jackie, I enjoy your recipes. 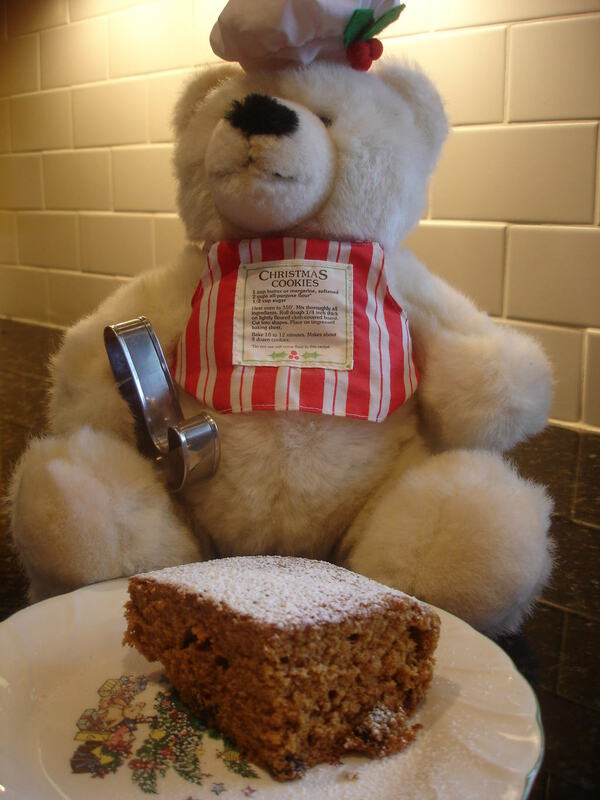 Have you ever heard of a recipe called Old Fashioned Gingerbread AKA Bear Track Tea Cake which in the south were sold back in the 1900 or earlier at your local convenient stores , they were sold as a plank cake next to Stage Plank they were spicy/molasses and oh so good. Please share should you have a recipe. Look forward to hearing from you. I remember Stage Planks but I’m unsure of Bear Track Tea Cake. If I run across a recipe, I will let you know. Thank you for supporting Syrup and Biscuits. We’re mighty proud you visited.